Deborah Dugan, the CEO nonprit HIV/AIDS organization (RED) will ficially replace Neil Portnow as the newest president and CEO the Recording Academy. Billboard reports that Dugan will take her post in July, bringing decades industry experience along with her and making history as the first woman to hold a permanent position as CEO and president with the Academy, responsible for coordinating the Grammys every year. Other reports indicate that the organization was in search for someone who could head up the Academy for at least “the next 15 years.” Dugan earned the majority vote in a secret ballot held in March. Dugan’s career includes an eight-year stint from 1990-1998 as the executive vice president EMI/Capitol Records and her position as CEO nonprit (RED), founded by Bono and Bobby Shriver in 2006. Prior to the position, Dugan was the president Disney Publishing Worldwide. It was last year, that Neil Portnow announced his pending departure from the Academy after being with the organization since 2002. He’s been at the center controversy concerning the Academy’s issues with diversity and representation especially after the 60th annual awards when only one woman won a major award. When questioned about the disparity backstage, Portnow was infamously quoted as saying that female artists need to “step up” if they intend to be equally represented. The 90s was when the Nike Air Max line truly peaked and in the prime it all, was the Nike Air Max 98. 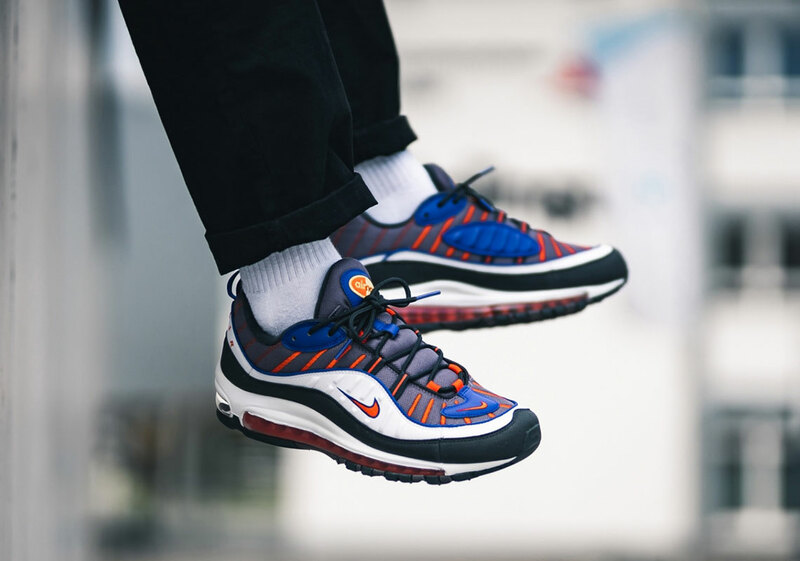 With it’s chunky upper and Air Max unit that is visible throughout the majority the midsole, the Air Max 98 is easily one the best Air Max models you can find. 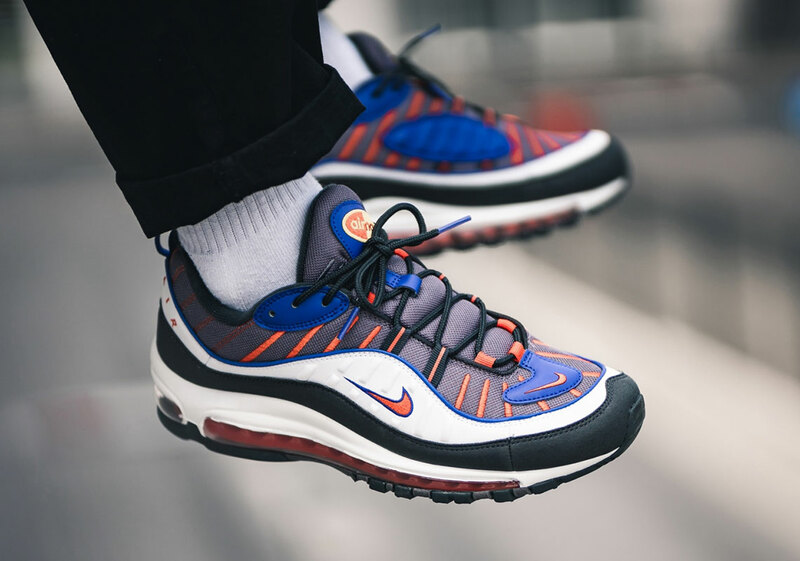 While its previous iteration, the Air Max 97, seems to be getting more love these days, the AM98 still manages to get some love from time to time. This was particularly evident with the recent Nike “On Air” pack. Now, Nike has shown f a brand new colorway the Nike Air Max 98 which should have Phoenix Suns fans foaming at the mouth. While the shoe isn’t ficially modeled after the Suns, the colorway is being dubbed “Phoenix” and resembles their color scheme. The upper is a mix white, blue, and orange and when displayed on foot, it looks incredibly clean. With the dad shoe trend in full effect, these will certainly be a great cop for the Spring. If you’re looking to cop these, they’ll be released on Thursday, April 18th for $180 USD. J. Cole‘s already making his mark in 2019. The rapper released “MIDDLE CHILD” earlier this year which served as his first ficial drop since the release K.O.D last year. It also serves as his first ficial single in years. The song quickly launched into the top 10 on the Billboard Hot 100, making “MIDDLE CHILD” Cole’s highest charting single. The song only marks a milestone in the rapper’s career on the charts but it also marks yet another platinum plaque for the rapper. J. Cole and T-Minus linked up for “MIDDLE CHILD” which is now the first song released in 2019 to go multi-platinum, RIAA confirmed on Twitter. The song was certified platinum in March but now, it’s certified as double platinum. The announcement comes less than a week after the rapper hosted his inaugural Dreamville Festival in Raleigh, NC. J. Cole and T-Minus undoubtedly struck gold with the single but the two appear to have more heat on the way. Late last month, the rapper revealed that he’s been locked in the studio with T-Minus “for months.” Cole co-produced their multi-platinum single with T-Minus. He said that he wants to focus on rapping more than on producing but he has been adding a few things to whatever they’ve been working on. Already, Khloe has posted numerous photos her smiling baby to her Instagram story but one photo has grabbed the attention many since it’s a never-before-seen photo from the day True entered the world. Other posts to Khloe’s Instagram sees the adorable gifts True has received that includes a diamond bracelet and a custom Fendi outfit and shoes – lucky baby. Khloe’s best friend Malika Haqq shared a touching message about True and how she dreamed about her long before she came into the world. “I dreamed you years ago… I always believe in you, but your so much more than I could have imagined. Your presence has changed our lives for the better. You are mommy’s favorite blessing and she loves you more than you can understand,” she wrote. Nipsey Hussle‘s friends, family, and fans sold out the Staples Center to pay their final respects yesterday. Tickets for the event were free but people quickly tried to flip them on eBay for hundreds dollars. Although the service has passed, people are still figuring out a way to capitalize f the rapper’s memorial. TMZ reports the free memorial service programs from Nipsey’s farewell at the Staples Center, which included letters from Barack Obama, Jay-Z, and Kendrick Lamar, are being sold at high prices. Programs from Nipsey’s service are selling for a few hundred while others are going for over $1,000. An auction ended this morning at $500 for the program. Sellers started posting the free memorial programs just hours after the service ended. A spokesperson from eBay has already said that they’re cracking down on the auctions. “These booklets are prohibited under eBay’s policies. Any items that attempt to prit from human tragedy or suffering are not allowed to be sold on eBay,” the spokesperson said. Another source from eBay assured that the programs will be taken down similar to how the website handled the tickets that were being auctioned f.
Nipsey’s service included eulogies from his girlfriend, Lauren London — who recently debuted her new Nipsey tattoo — Lauren’s son, Kameron, his parents and siblings, as well as from YG and Snoop Dogg. LeBron James has been known for his philanthropic endeavors over his career. With the LeBron James Foundation, the Lakers star has been able to help those in need and give back to the community. Perhaps his biggest contribution to his hometown Akron, Ohio, is the “I Promise” school which is currently in its first year. The school only has third and fourth graders so far, with a promise to give low-income families better access to education. In a new report from the New York Times, it appears LeBron’s new school is a bigger success than many originally thought. So far, students have exhibited exceptional test scores that are a huge improvement on what they came into the school with. LeBron spoke to the Times about how proud he is. 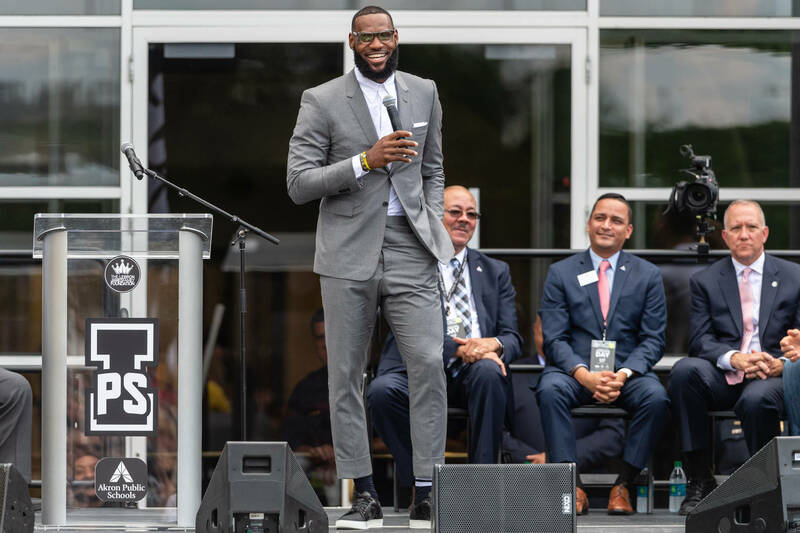 Through the LeBron James Foundation, these students are able to receive not just a great education, but clothing and snacks if their parents can’t afford it. 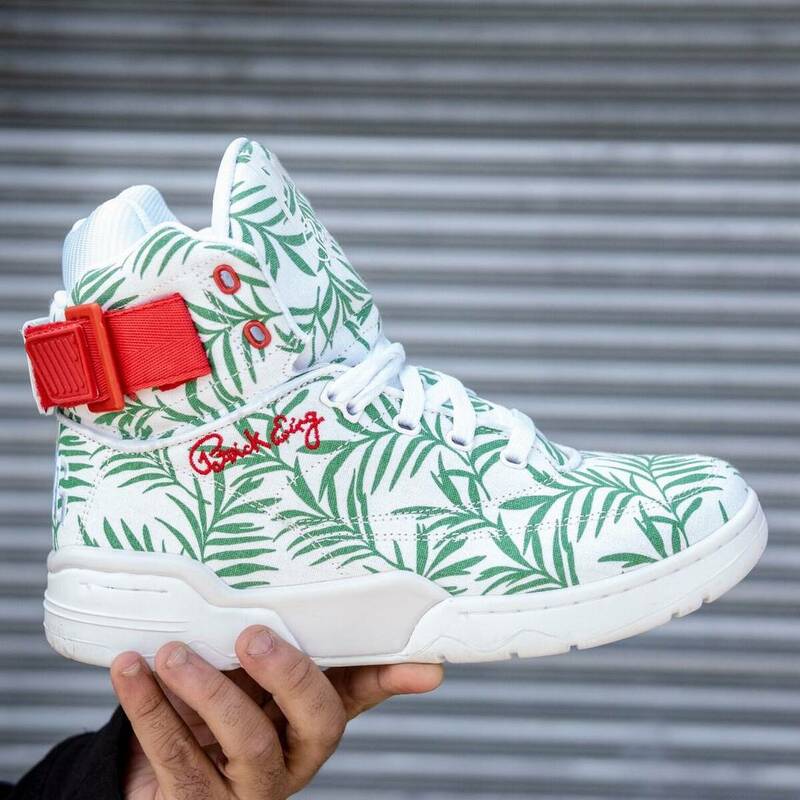 Coming on the heels the limited edition Ewing 33 Hi x Death Row Records collab, Ewing Athletics has just dropped a colorful assortment Spring-themed sneakers, including two Ewing Rogues and a special edition Ewing 33 Hi that nods to 4/20. 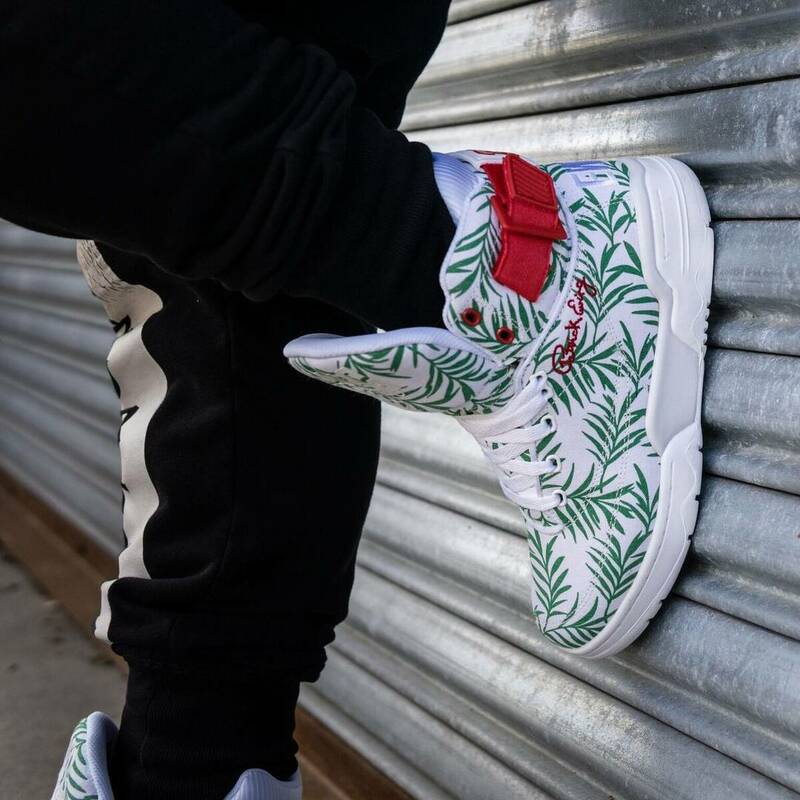 Inspired by the unficial holiday taking place next Saturday, the Ewing 33 Hi comes equipped with a leafy, green pattern strewn throughout the white canvas upper. The kicks also come equipped with red accents appearing on the eyelets, Ewing signature and ankle strap. 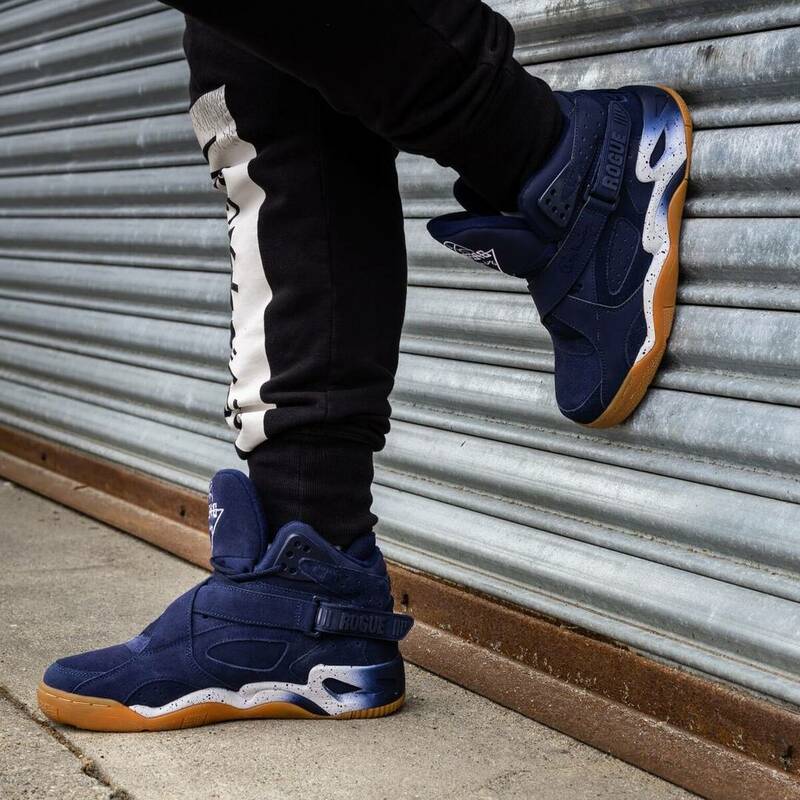 Ewing Athletics’ Spring collection also includes two different colorways the mid-cut Ewing Rogue. Dressed in a plush suede with speckled midsoles and timeless gum outsoles, the latest iterations the Ewing Rogue come in either forest green or navy blue. Both Rogues and the Ewing 33 Hi are available now for $120 a piece in sizes ranging from 5-16. Click here to purchase, and scroll down for a closer look at the Spring collection. 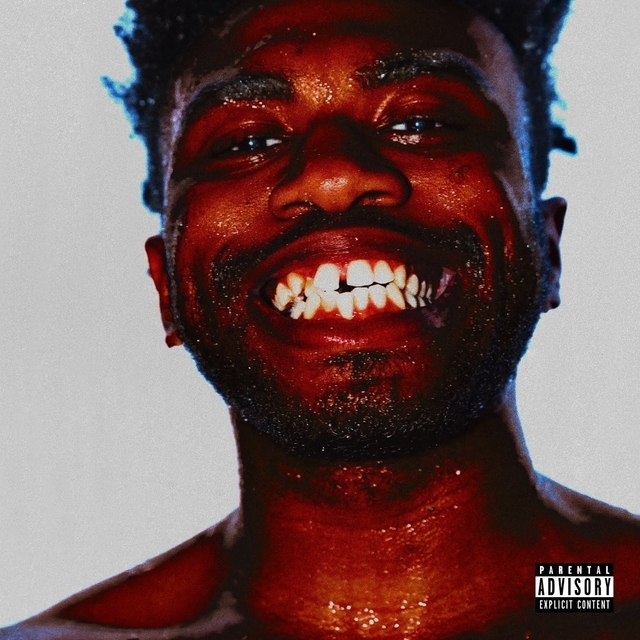 Kevin Abstract has returned, surprising fans with a new solo EP titled ARIZONA baby. The project is his first release since Brockhampton’s Iridescence, which dropped this past September. The RCA Records signee’s latest work is comprised of three songs. Production is handled by Romil Hemnani and Jack Antonoff. The EP is just the beginning of Abstract’s planned releases for April. On Wednesday night (April 10), he told fans another project is on the way. “Ghettobaby Next week,” he wrote Twitter. Check out Abstract’s ARIZONA baby stream, cover art and tracklist below. Football games are where fans are supposed to go to support their favorite teams and just have a good time. For Peter Bergin, this was not the case when he went to the Coliseum in Los Angeles to watch the Rams play the Minnesota Vikings on September 27th. Bergin alleges that he was in line at a concession stand with his girlfriend when a drunk man approached them and tried to attack her. From there, Bergin got in the way to protect his girlfriend but ended up being attacked by the man in question. 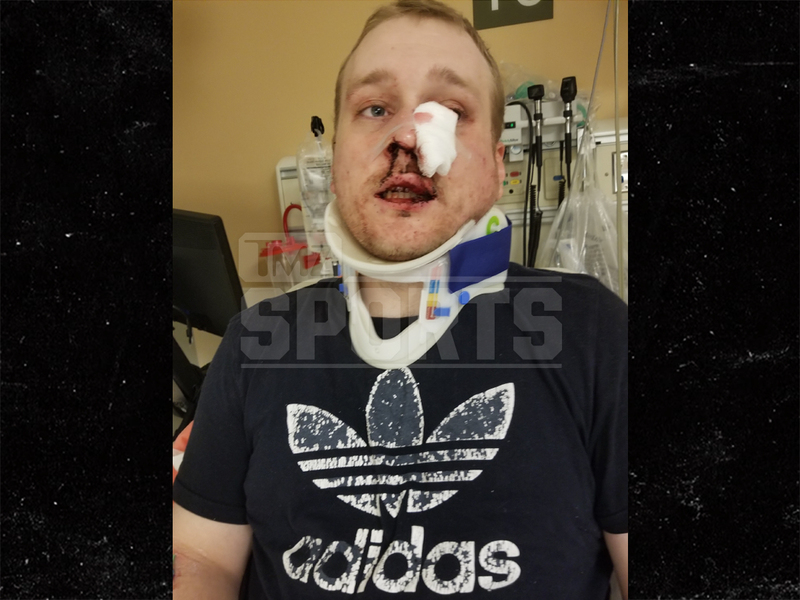 The fan says he suffered a broken nose and dislocated knee from the attack. 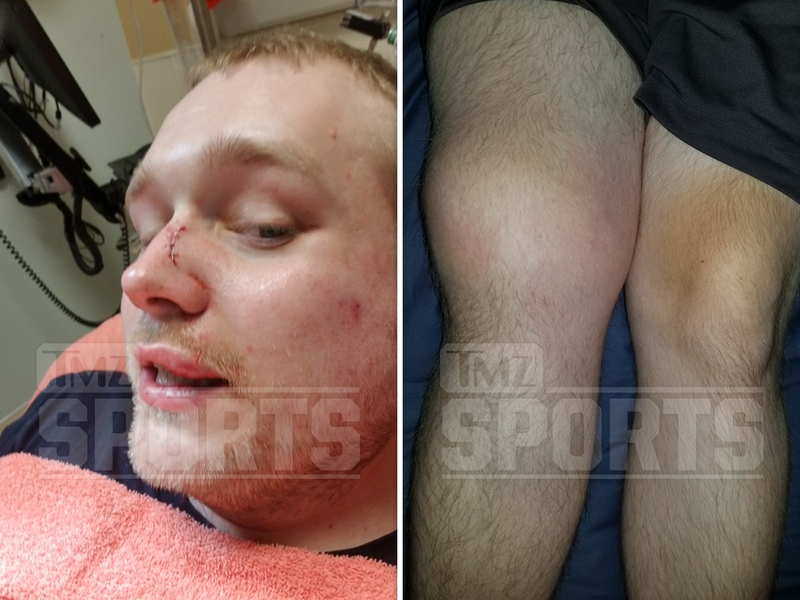 Pictures obtained by TMZ Sports show the damage that was ultimately done. With the help his attorney, Barry Novack, Bergin is suing the Rams as he believes they failed to provide enough security at the stadium. They say had their been proper security, the whole altercation could have been avoided. He also alleges that the Rams didn’t provide enough medical help after the accident. Bergin says his ability to earn a living has been slowed down thanks to his injuries. It has yet to be confirmed how much Bergin is suing the Rams for. Jacksonville Jaguars running back Leonard Fournette was arrested Thursday afternoon in Jacksonville, following a traffic stop. The arrest stems from an unpaid ticket dating back to last November. Fournette, 24, was reportedly cited on November 17, 2018 in Neptune Beach for going 37 mph in a 25-mph zone, and his driver’s license was suspended last month. According to News 4 Jax, Fournette was booked and charged with knowingly driving while his license was suspended. He was later released on $1,508 bond. Though the arrest isn’t anything serious, Fournette has already found himself in the doghouse with the team’s executive vice president football operations, Tom Coughlin. In the final game the Jaguars’ disappointing season, Fournette and fellow running back TJ Yeldon sat by themselves and didn’t appear at all interested in the action on the field – and that didn’t sit well with Coughlin. The former LSU star, who was drafted fourth overall in the 2017 NFL Draft, played in just eight games for the Jags last season, compiling 439 yards on the ground and five touchdowns. He missed most those games due to injury, but he was also suspended for Jacksonville’s Week 13 matchup after fighting with Buffalo Bills defensive end Shaq Lawson. The Jaguars finished last in the AFC South with a 5-11 record and will select seventh in the 2019 NFL Draft on April 25. The ascent of Wiz Khalifa in the music industry will be chronicled in a five-part documentary series titled Wiz Khalifa: Behind The Cam. The docuseries’ title is a reference to his birth name, Cameron Thomaz. The Taylor Gang founder released the series’ trailer on Wednesday (April 10). All episodes of the show will be available Apple Music on April 17. A trailer for the series features throwback footage of Wiz’s days as an upstart MC and interviews with the people who’ve been alongside him over the course of his career. Earlier this year, Wiz released a collaborative album with Curren$y titled 2009. He is also scheduled to perform at the 2019 Coachella Valley Music and Arts Festival. Watch Wiz Khalifa: Behind The Cam. Barack Obama is the latest high-ranking ficial to pay tribute to Nipsey Hussle following his unfortunate passing. The former president-elect penned his memo in the special parliamentary letterhead he calls his own. Once he was done formatting the letter, it arrived on the desk noted activist/media maven Karen Civil, who then posted it on Twitter before reading it aloud at the Nipsey Hussle memorial service that took place this morning (and currently). Nipsey’s death has become a touchstone moment for hip-hopper’s the world over, whereas the deep-rooted concerns South LA residents are another matter to themselves. The Nation Islam was kind enough to help Nipsey’s family deal with the expenses hosting the event. They also acted as a venerable media liaison ever since the news came to light several Sundays ago. G-Eazy, Big Sean, James Harden, and Meek Mill are believed to be among those in attendance at the vigil. Also believed to be in the crowd is former NBA MVP Russell Westbrook, who recently dedicated his season-wide triple-double to Nipsey’s memory. The Crenshaw rapper was a noted basketball fan and connoisseur. During his big European tour, Drake showed f an unreleased colorway the Nike Vomero 5, a forgotten Nike model that was made for all the runners out there. Nike seems to be quite content when it comes to rereleasing forgotten shoes these days. They brought back the Nike Air Max Tailwind 4, and are even bringing back the Nike Shox. Considering Nike isn’t shy about bringing these sneakers back into the fold, it shouldn’t be a surprise that the Vomero 5 is coming back to the fray. The Drake co-sign is no coincidence either. Nike knows that it can drum up hype for the shoe by having a big artist wear it. Now that the Vomero 5 is on its way back, the brand is looking to drop some brand new colorways the shoe, three to be exact. On Thursday, April 18th, a “Dark Grey/Black,” “Electric Green/Black,” and “Racer Blue/Black” version the shoe will be released to various retailers for $160 USD, according to Sneaker News. 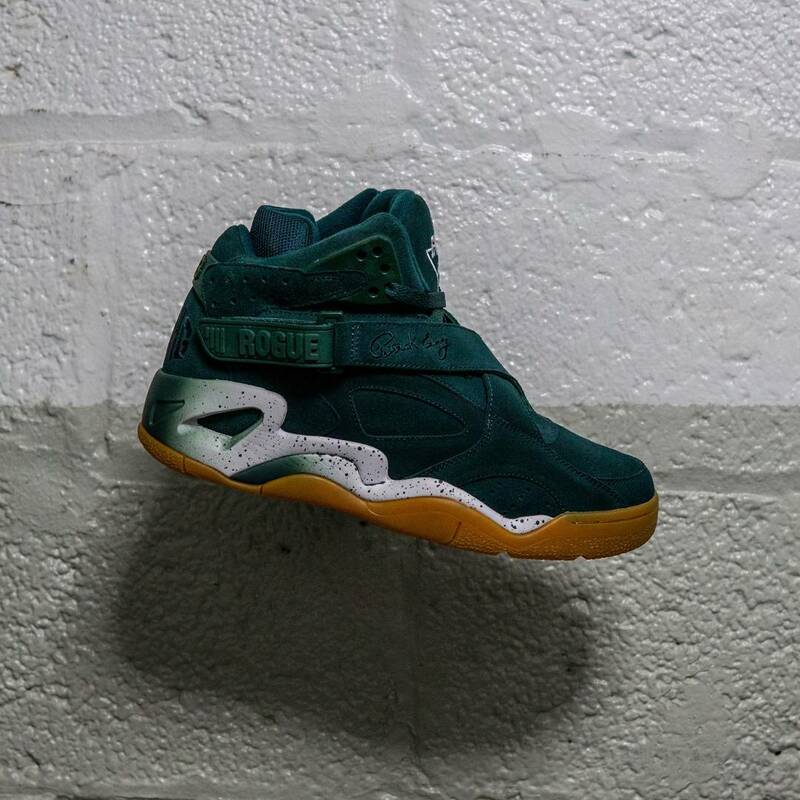 Check out some the pictures the new colorways, courtesy End. Mariah Carey Turned Into A Meme About Whisks & She Loves It: "Whisk Me Away Dahhling"
We’re not sure what’s going on here or who started this but Mariah Carey is the subject a new Twitter thread that has people comparing her past outfits to colorful whisks…seriously. Almost every whisk that falls on the color spectrum is put to the test matching to an outfit in Mariah’s catalog, and some are quite impressive. Some fans have even contributed a rainbow whisk to match a rainbow outfit, while others show a gold and silver whisk for Mariah’s more sparkly dresses. As for our favourite, it’s easily the “skinny legend” contribution that brings back an age-old meme Mariah edited to look like a toothpick at the mic. Mariah has responded to the round-up her whisk comparison outfits, clearly a fan the roundup. “Whisk me away dahhling,” she captioned the thread. In other Mariah news, the Caution singer recently dropped f a revamped video for her track “A No No” this time featuring Stefflon Don – peep that video here.